Te Awa winery produces single-estate-grown wines and is situated in the heart of the thriving Gimblett Gravels Wine Growing area of the Hawke's Bay. Considerable care is taken in the growing, making, and blending of our single-estate-grown wines. 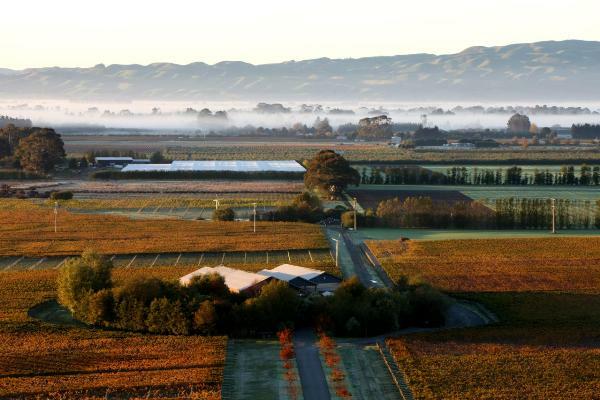 Te Awa's philosophy is to achieve fine wines of character which reflect the individuality of our unique vineyard site. The result is a remarkable assurance of consistency, quality, and confidence through our small, but carefully crafted range. A relaxed and memorable tasting and dining experience. Our cellar door offers a sampling of our premium Te Awa Collection wines and our seasonal menu provides a taste of local produce and products. Set amongst the lush vineyard backdrop, nestled in the heart of the Gimblett Gravels, it is a must visit destination.